We have seen what is Excel and what we can achieve using Excel in the previous section. 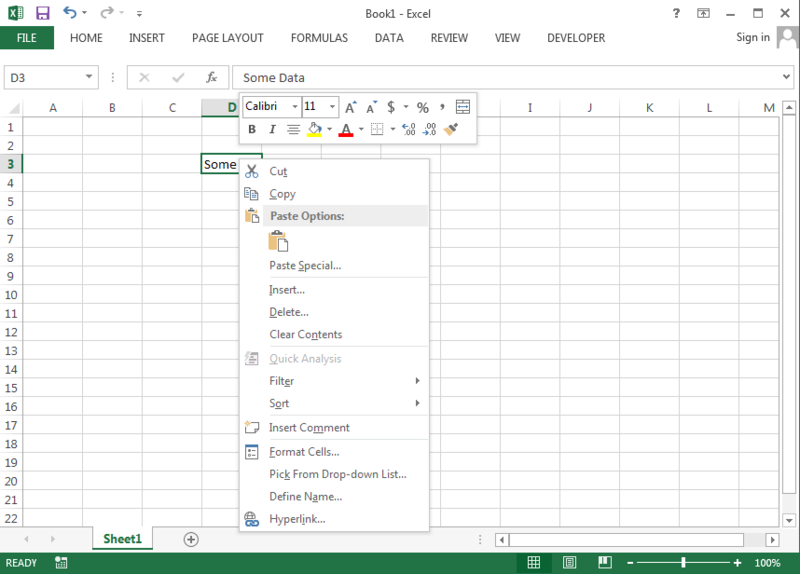 In this section we will see what are the different objects in Excel to do our jobs. And we also see the pictorial representation of Excel Interface. 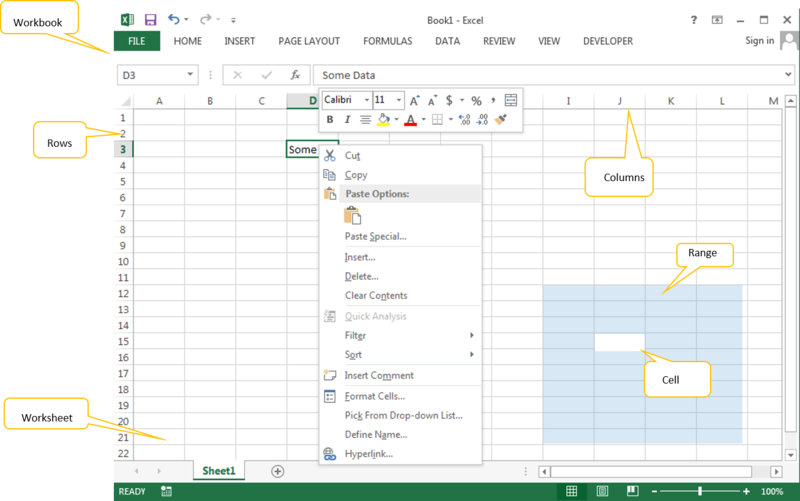 Cell: Cell is the part of the worksheet, where we enter the data, formulas. Range: It is a collection of Cells in excel worksheet. Rows: These are records (1,2,3,4…) in excel worksheet. Columns: These are Fields (A,B,C,D,…) in excel worksheet. Hi, i would like to know which excel version you are describing here. Is that excel 2013 oder a mac version? 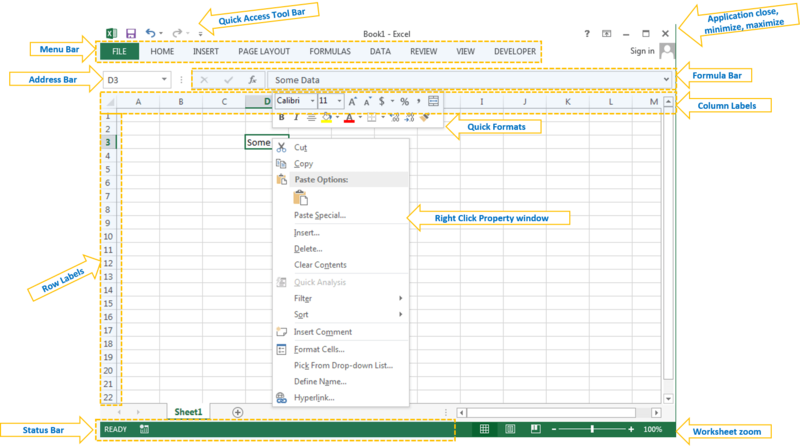 Is excel 2013 worth getting? I wan to get excel, but im not sure which version (prize point is a factor too). I found anotehr guide describing the 2010 version of the Excel interface so far, and that seems ok. Any huge improvements for 2013, besides the usual marketing informations? I use Excel 2010 and 2013 for Windows; I found 2013 is rich visualized. You can get Excel 2010 or 2013 32 bit.